Nicki Minaj says she’s "mortified" and "humiliated" following Friday night's altercation where Cardi B allegedly threw a shoe at her during the Harper's Bazaar Fashion Week party in New York City. Cardi had accused Minaj of talking about her baby, an accusation the "Queen" rapper denied on her Beats 1 radio show Monday. Minaj added that she was embarrassed to see New York's fashion elite witness the ugly altercation. "The way they passed by looking at this disgusting commotion I will never forget," she commented. "I was mortified. I was in a [Zadig +] Voltaire gown, OK, and I could not believe how humiliated it all felt -- how we made ourselves look." Cardi B later explained her actions in a long, profanity-filled Instagram post accusing an unnamed person -- presumed to be Minaj -- of making comments about her daughter, Kulture, and herself as a mother. 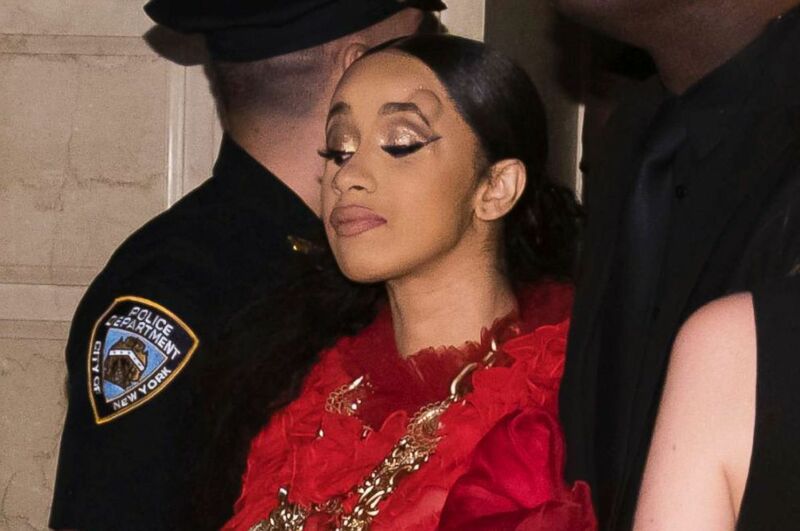 Cardi B, with a bump on her forehead, leaves after an altercation at the Harper's BAZAAR "ICONS by Carine Roitfeld" party at The Plaza on Sept. 7, 2018 in New York. “When you mention my child, you choose to like comments about me as a mother, make comments about my abilities to take care of my daughter is when all bets are f----ing off!! !," she wrote. 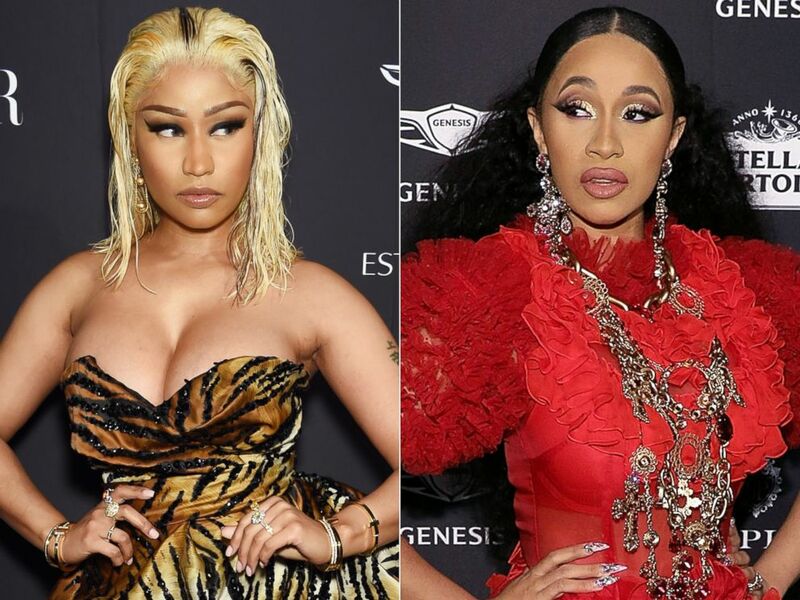 Bad blood between the two rappers began in May, when Minaj complained that Cardi hadn't been adequately grateful that Minaj allowed the rising rapper to be included on "MotorSport," her 2017 collaboration with Migos. Cardi is now married to Migos member Offset, the father of Kulture.